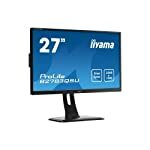 The ViewSonic VP2772 is a professional grade display that is aimed at providing excellent image quality at the expense of any additional frills. 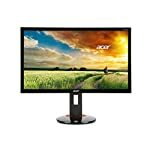 If you are looking for a screen suitable for high end graphical work then this monitor is aimed at people like you. 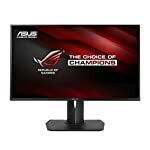 The VP2772 is a 27″ model that can run at a 1440p resolution. With 1080p no longer cutting edge and 4k screens requiring serious hardware to run, the middle ground is fast becoming the new standard for the home office. The display is powered by IPS technology which is good news for the quality concsious buyer, these panels give better colour accuracy and don’t distort so readily when viewed from and angle. Viewsonic have put together a fairly ordinary looking design. If you are going for elegance then this won’t float your boat, but don’t let this detract from the monitor’s core qualities. Square one inch bezels surround the unit, even at the time of release people would be hoping for a slimmer surround. On the plus side, the VP2772 is a sturdy solid affair, the broad base and hefty design will ensure a steady view when working away. Also in its favour, you can raise, tilt, swivel and pivot into your preferred position. Connectivity won’t be a problem for any modern PC, you have HDMI, DisplayPort and even DVI-D to contend with. USB 3.0 is also available. To be blunt, the Viewsonic is not built for games, it doesn’t have adaptive sync, nor is it optimised for fast refresh rates. The response times are double digits and input lag has been measured at over 25ms. Of course you will be able to fire up the odd game but if you are looking at playing fast action responsive games then this might not be a first choice, on the other hand slow paced strategy games will still look good. Professional reviewers haven’t raved about the out of the box performance but this, as is often the case, is improved by running through various calibration routines. We give the ViewSonic VP2772 a 4 out of 5 rating. Want to know what existing owners of the monitor think? You can read real user reviews here. 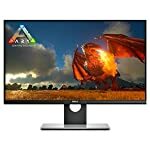 Should I buy the ViewSonic VP2772? 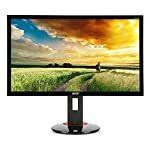 The ViewSonic VP2772 is suited to those looking for high quality professional screens rather than an out and out gaming display. If you are having some doubts about this purchase then why not read some real owner reviews and see what other buyers think.